With all the recent hype surrounding Daft Punk's eminent release of their new album it makes sense that we will probably be seeing new batches of remixes from these electronic music giants. 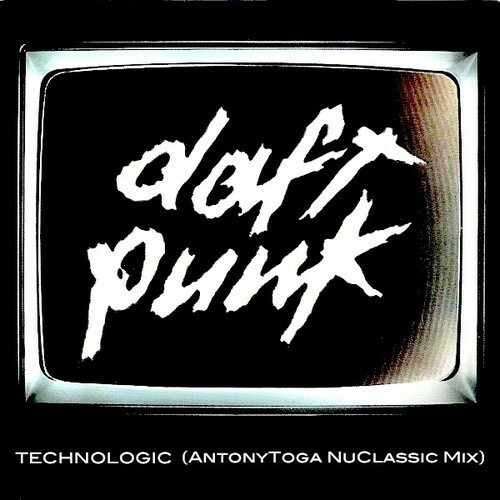 Like this new remix sent our way for Daft Punk's classic track "Technologic" by Antony Toga that is fabulous! One of the best Daft Punk remixes my ears have ever come across. Best part is he is offering the remix as a free download! Check out the goods below and I'm sure after 10 seconds you'll agree this baby's a winner and quickly press that download button. Now the waiting game for the new album/remixes commences. There's a huge Daft Punk billboard that sprung up here in Miami near the Ultra Festival which has some people wondering if they will be making a surprise appearance this weekend. We shall see, but since they didn't play at the first week's events, I wouldn't hold my breath.